‘Readings on Economy Below Sea Level’ is a book edited by Constança Saraiva and myself, to conclude the two-year long reading sessions held by the Portuguese spoken reading group in Rotterdam. Unfolding different perspectives on the socio-economic situation in Portugal, this book celebrates the multifaceted act of reading collectively. Readings on Economy Below Sea Level presents a preface by the economist Prof. João César das Neves (the author of the book that was read), a photo essay by Pedro dos Reis, an article by economists Nuno Camacho (PhD) and Diogo Gonçalves (PhD), an excerpt on reading groups by Maiko Tanaka and a poster with annotations from the reading sessions. 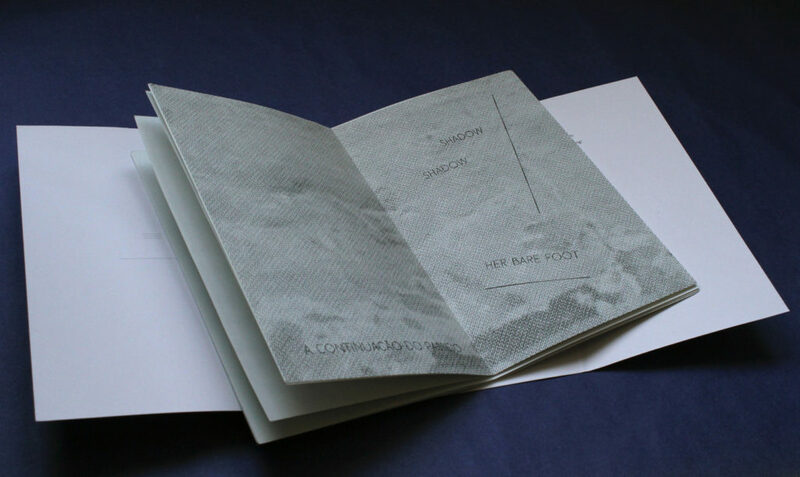 ‘The Third Landscape’ (2016) is a book assembled in loose pages, folded and bound together by a soft-cover. Written in English and Portuguese, it contains a text piece written by myself, based on a photograph made by Angès Varda, in 1957 in Portugal. This image depicts a woman, a wall, a poster, a printed image of Sophia Loren. 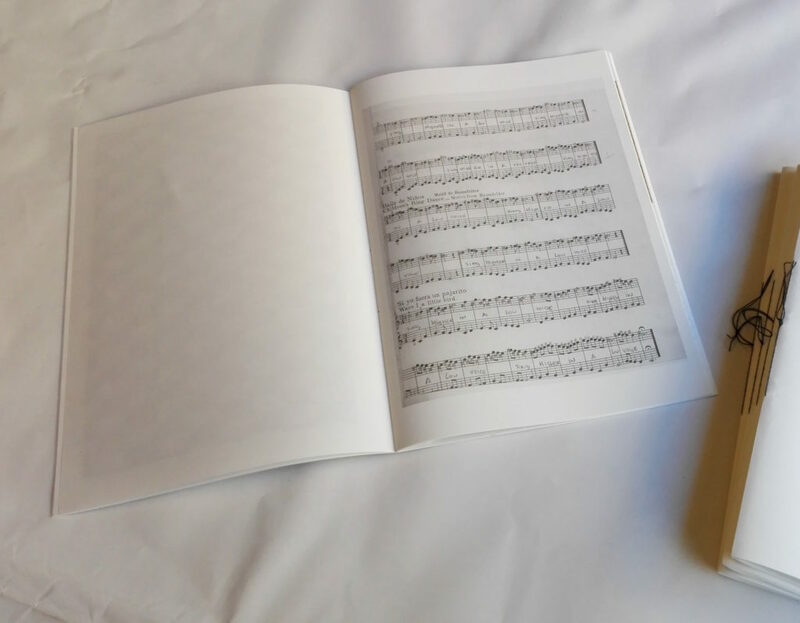 The images on the book contain graphic representations that refer to different fragments on the original image. Departing from this image the text presents the reader with a story, which in itself may be just another possible story within a scope of a fragmented recent history. 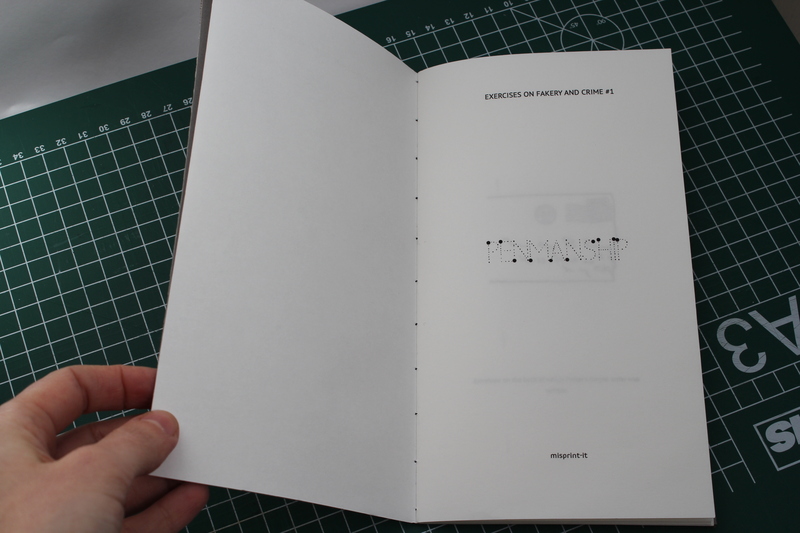 ‘Seventeen Pages in no Particular Order’ (2016) was published on the occasion of the exhibition ‘Do it with us’, curated by Janneke van der Putten and presented at Mirta Demare Art Gallery in Rotterdam. 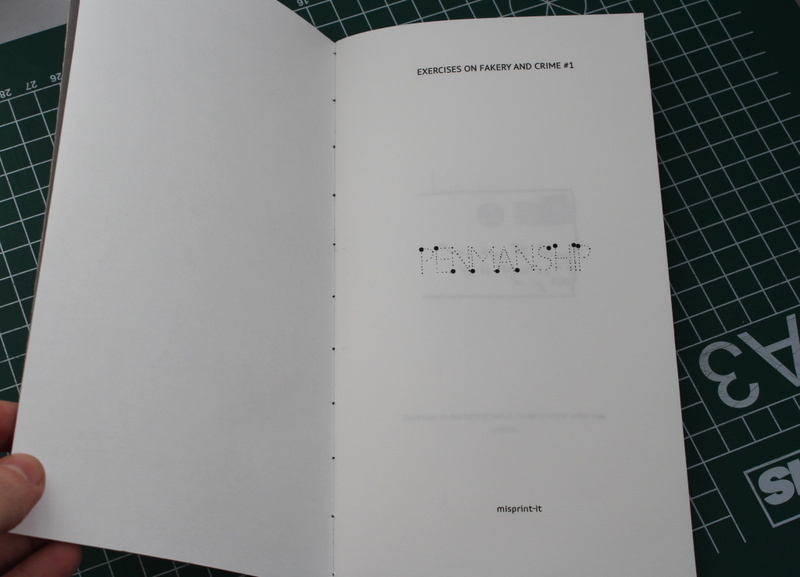 ‘Penmanship’ (2015) is the first book of the series ‘Exercises on Fakery and Crime’. 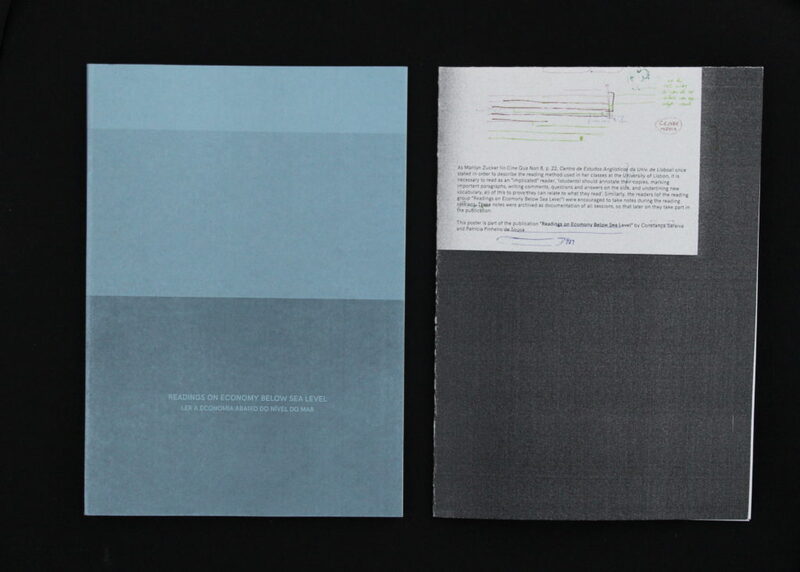 A publication series meant to explore the boundaries between fakery and authorship. 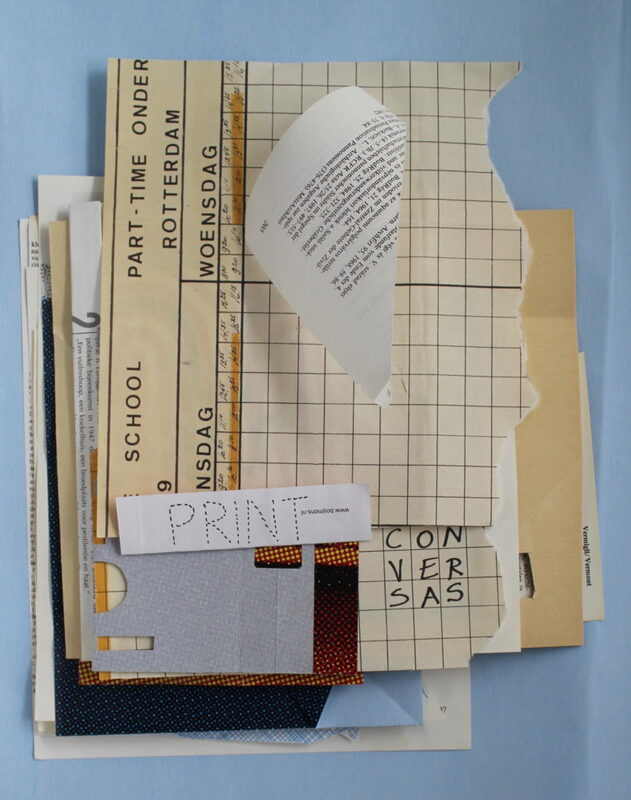 This ‘five minute action’ publication is the result my participation at Conversas Rotterdam. In the end of the talk I invited the audience to make a visual comment on a sheet of paper by using a scissors or a pen. 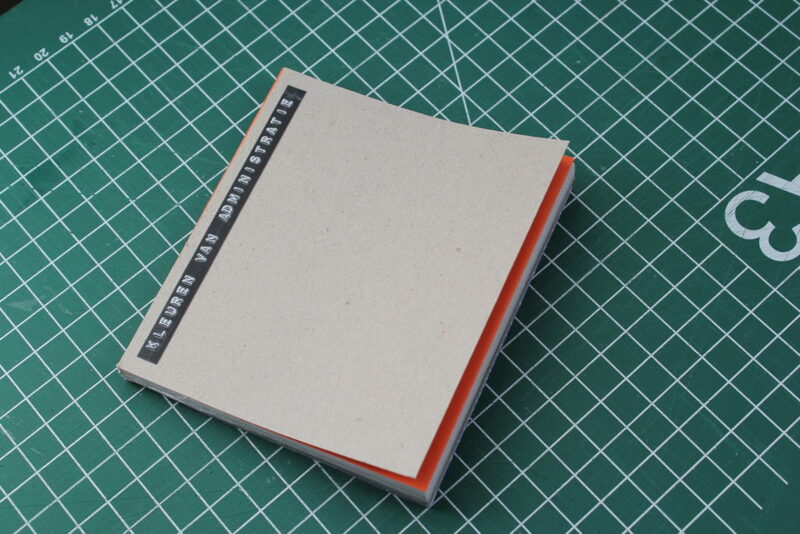 The end result was documented on the publication Conversas Rotterdam, designed by Catarina da Silva. 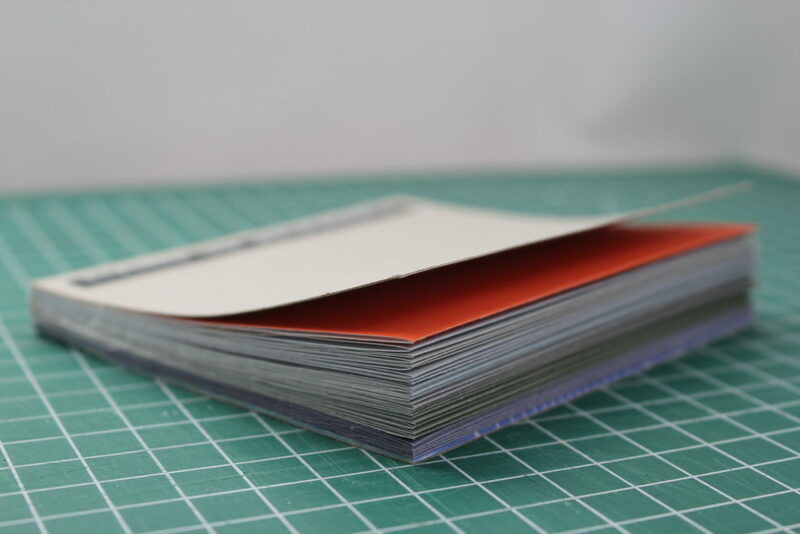 This object-book is a collection of my business envelopes received per post within the period of two years, assembled by colour. These envelopes where sent out by regular post by banks, taxes, health insurance, amongst other.